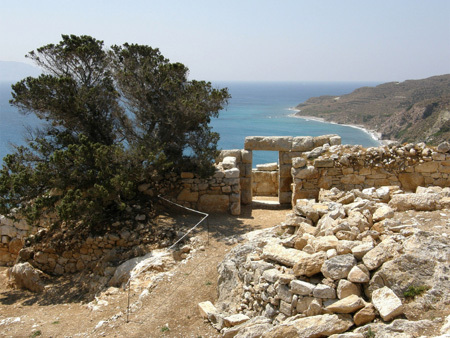 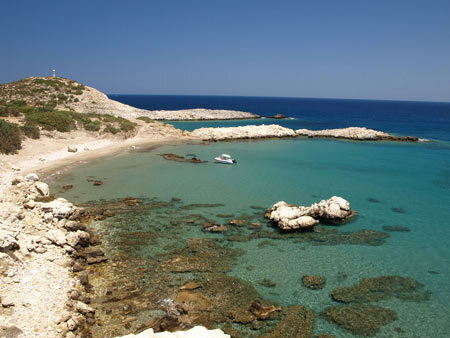 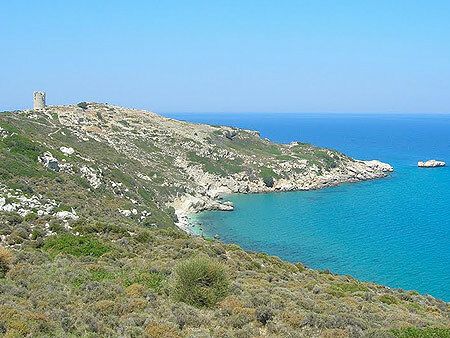 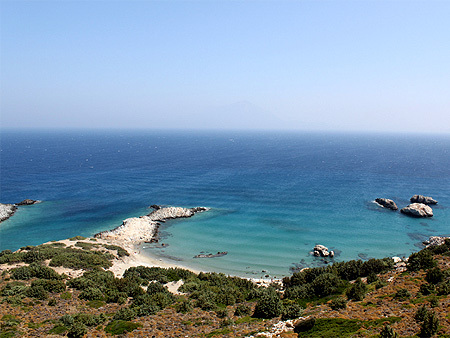 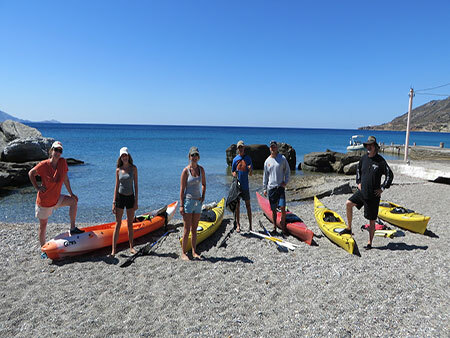 On this trip you will experience first hand Ikaria's most beautiful coastline and views, visit the island's most significant ancient ruin and swim and snorkel on secluded pristine beaches. 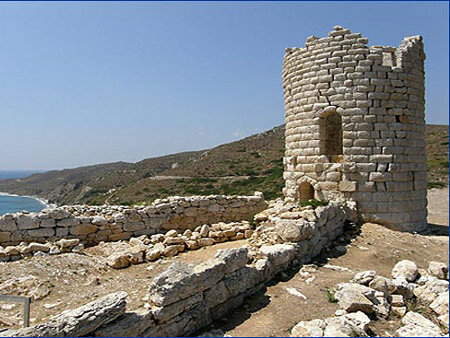 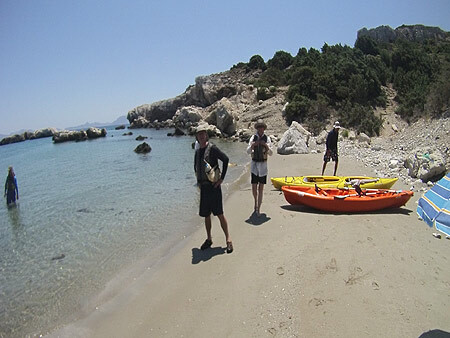 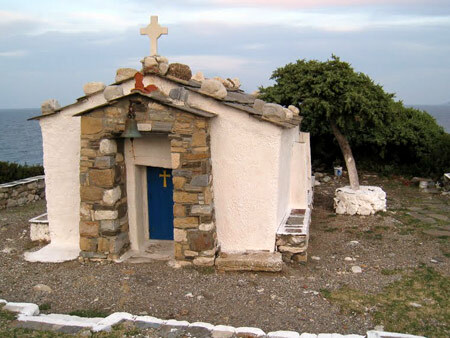 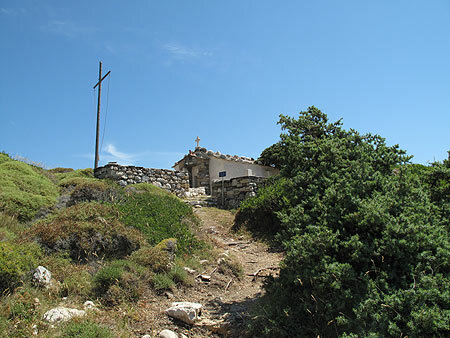 Starting from Faros Beach we kayak to the secluded beach of Agios Giorgis and then walk a short distance on a scenic path to visit the Church of St. George and the ancient town, fortress and tower of Drakano. 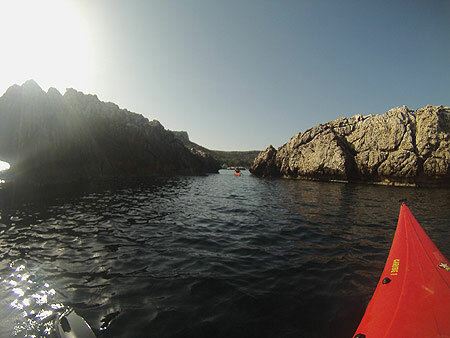 Along the way we see ocean wildlife, beautiful secluded coastline and beaches, interesting rock formations and nearby islands. 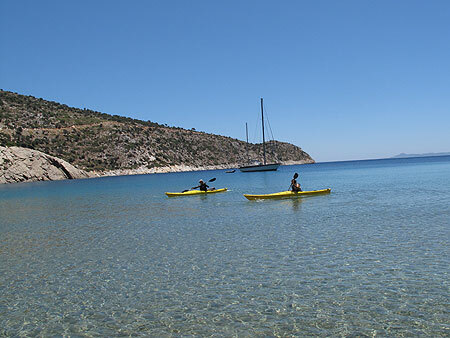 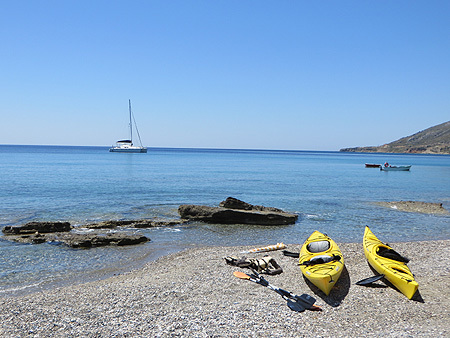 Following this we will have a picnik lunch on the beach of Agios Giorgis and then you are free to relax, swim, kayak inside the cove, snorkel around the shallow reefs and explore the area. 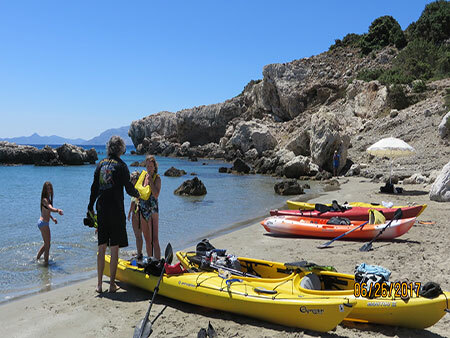 Your kayak guide will provide you and your group with lunch, a beach umbrella and complete snorkeling gear for all ages (mask, snorkel, fins and snorkeling vest) so you can check out the interesting reefs, rock formations and sea life in and around the beach. 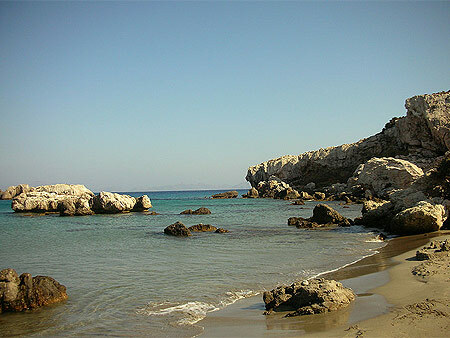 Children will appreciate the sand being ideal for building sand castles. 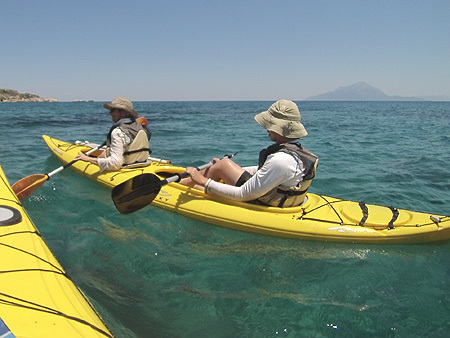 If time/weather conditions allow and your group is up to it, we can also kayak 1 nm. 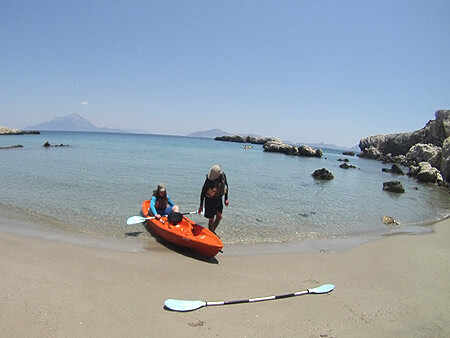 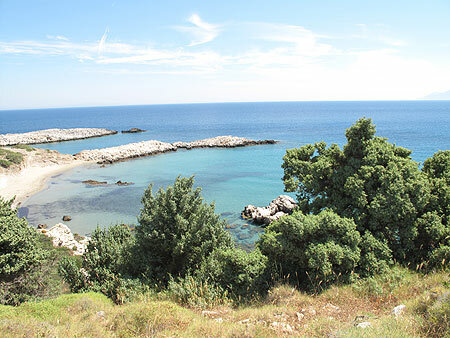 from Agios Giorgis Beach to Iero Beach where there is a cave to visit and the possibility to snorkel again. 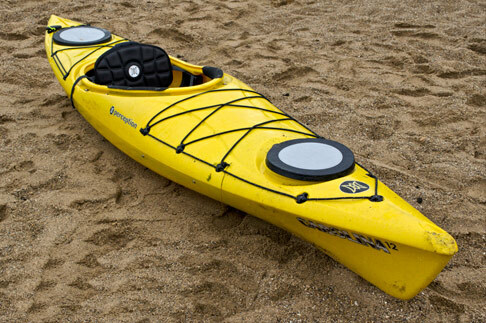 Roundtrip kayaking distance to Ag. 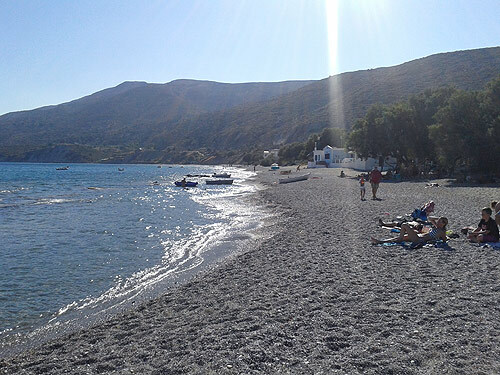 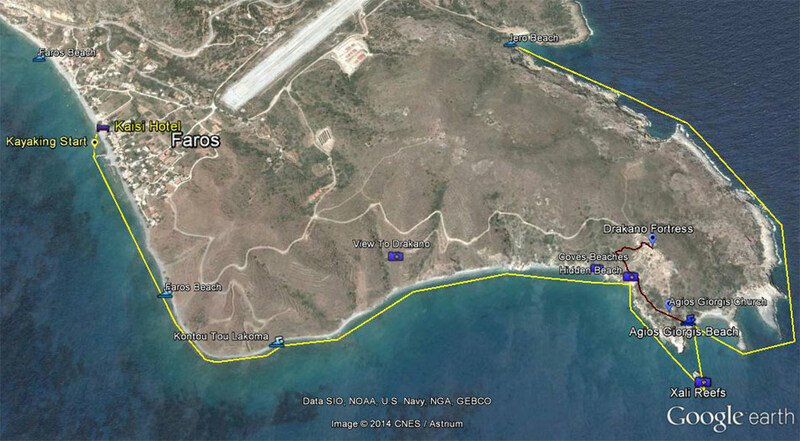 Giorgis beach from Faros is 3 nm. 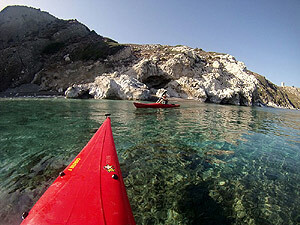 in protected shallow coastline, approx 1.5 total hours of easy to moderate paddling. 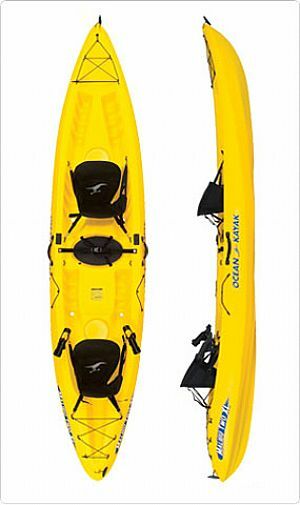 Depending on your experience we offer the following single and double kayaks: Perception Expression 15', Perception Carolina 12', Ocean Malibu Two XL and Necky Manitou II. 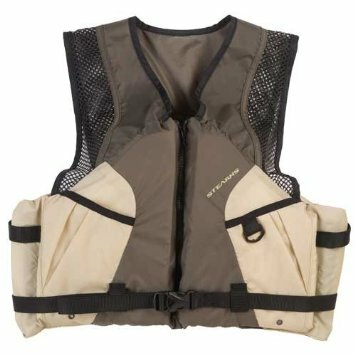 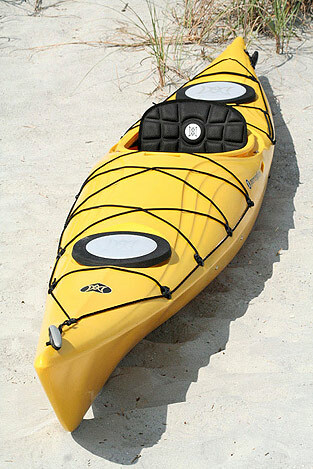 We also provide premium quality kayak life vests in all sizes. 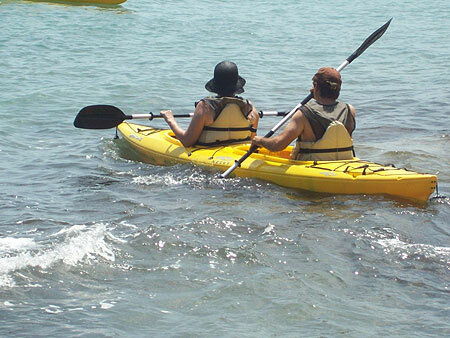 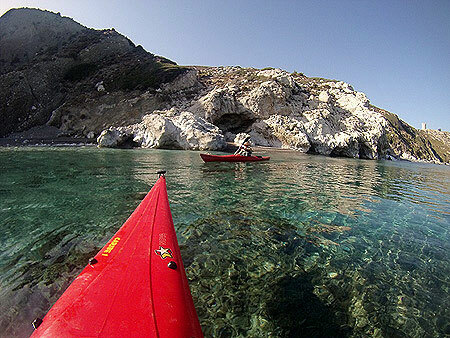 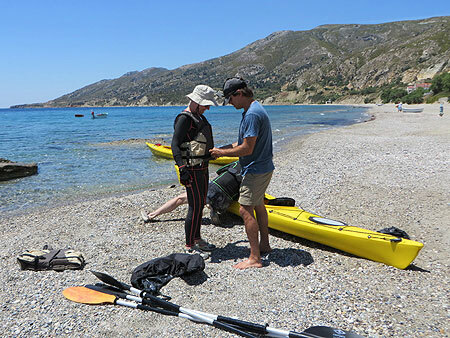 Beginners and children will be placed in tandem kayaks with the guide(s) or more experienced guests. 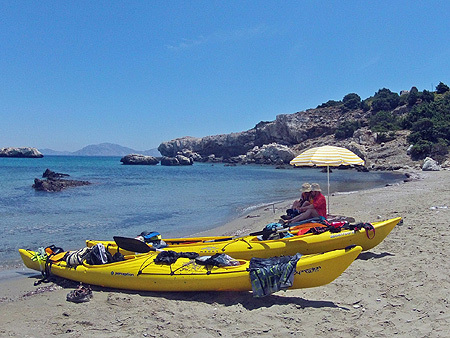 from €70 including guide, kayak/safety vest, snorkeling gear, beach umbrella, box/picnic lunch on the beach and complimentary digital photos.